This was seriously a wonderful drama, loved it from 1 to 52. Maybe this statement is based on my still hyped emotions of it, but I just feel that this one captured a really special place in my heart. Maybe because it focused so much on the family relationships, and had some sprinkles of romance here and there, however the main theme kept shining out throughout the drama. The actors did a pretty decent job; they all were expressful of their character and made you love them and hate them at times. 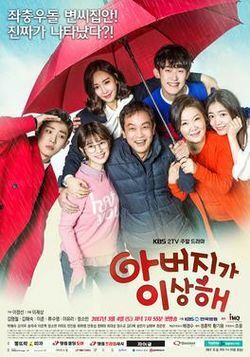 What I mostly like about this, is that it’s not like a typical family drama were they drag the whole point till the end, no, they reveal everything in the beginning, and you just enjoy seeing the story unfold with it. I’m definitely stating another family drama soon, I get so addicted to it, because I get so much more time with the characters, and I can truly see them develop, and I think that’s what makes the whole time worth for me.